Let me tell you… Arlinn Kord really wants to go first. … But first: Sorin, Grim Nemesis! [+1] Reveal the top card of your library and put that card into your hand. Each opponent loses life qual to its converted mana cost. This [+1] ability is just pure card advantage! At a minimum, Sorin draws you cards without actually “drawing” a card (a subtle advantage much of the time). That is a great ability! But wait! There’s more! At the same time, Sorin puts the opponent on a clock. Much of the time it won’t matter what Sorin is revealing (card advantage being card advantage) but sometimes Sorin will just win the game outright. What if the opponent is at five or six, and you just reveal another Sorin? … To say nothing of possible combo applications a la Draco-Explosion. 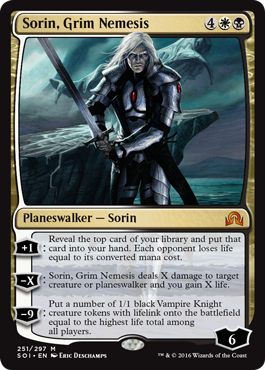 [-X] Sorin, Grim Nemesis deals X damage to target creature or planeswalker and you gain X life. The absolute worst case Sorin acts as a six-point Drain life for only six total mana! His worst case is better than a number of cards people have just played in other contexts. 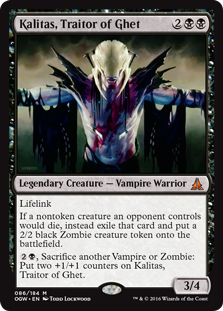 [-9] Put a number of 1/1 black Vampire Knight creature tokens with lifelink onto the battlefield equal to the highest life total among all players. When you’re behind, Sorin actually gives you exactly as much power as you need to win the game! When you’re ahead he gives you a buffer. In either case the fact that the tokens have lifelink which can keep you healthy from a wide variety of positions. 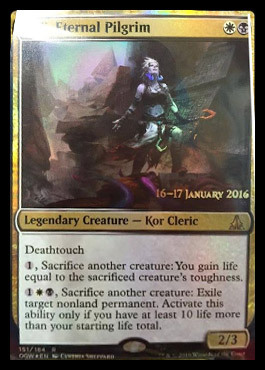 First thing’s first: Arlinn Kord is going to be an absolute monster in Standard. This Planeswalker costs [only] four mana but packs five abilities (if across two different sides of the card). 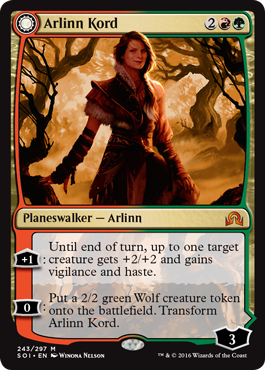 Seeing that Arlinn Kord will almost certainly be a popular card, initiative when playing Arlinn Kord is going to be a major issue when the opponent also has Arlinn Kord. Imagine your opponent plays Arlinn Kord turn four and makes a Wolf token (thereby flipping into Arlinn, Embraced by the Moon). You have your own Arlinn Kord in grip… What do you do? Anything but play the Arlinn Kord! If you play your Arlinn Kord you can either put her to four loyalty or make a Wolf. 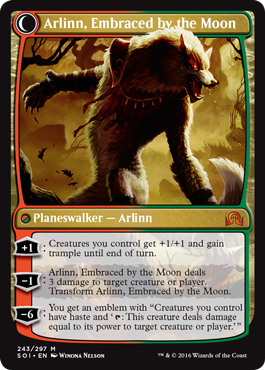 If you put her to four loyalty, the opponent (who controls Arlinn, Embraced by the Moon) will just [-1] your Arlinn and swing with the Wolf. Dead Arlinn Kord. If you make a Wolf your Arlinn Kord (now Arlinn, Embraced by the Moon) will still have three loyalty. The opponent will just [-3] to kill your Arlinn, Embraced by the Moon and probably leave back the Wolf to block yours.Dead Arlin, again. … None of which bothers to consider if the opponent has something better than to just line you up on freebies. “This is the type of thing that people are going to mention years from now. You have a long history of innovative Naya decks… and this is your most recent one yet. This is going to be… totally… you know? If you’ve ever wanted to see a complete dressing down of Mike — in this case by one of his best friends and one of the greatest deck designers of all time — tune into this episode! 1, Sacrifice another creature: You gain life equal to the sacrificed creature’s toughness.